Before the BIG day, everyone told me the one thing you want to make sure you don't skimp on is photography...and I am so glad we didn't! Lindsay's photos are absolutely stunning--the lighting is out of this world--and her calm and direct approach made her really easy to work with. She also gets a gold star for wrangling our very large bridal party and extended families. She has such a great eye for the perfect backdrops and lighting--that you wouldn't necessarily see in the moment. But trust me, and TRUST her. She knows exactly what she is doing! Just when you think all of your wedding fun is over, Lindsay sends the most beautifully packaged disc of images. She is top notch with everything she does! "We are so happy we chose Lindsay to be our wedding photographer! She was so knowledgeable about the events of the day that she even helped set the timeline for us. Lindsay was so professional and calm through both our engagement shoot and the wedding day which really helped our nerves. The photo's we received were absolutely stunning! She has such a creative and artistic eye which really came through in the pictures! We continuously receive so many compliments on photo's we have enlarged and framed in our home from our wedding. We were so happy with Lindsay and her work, we even had her back to our new home for maternity pictures!" 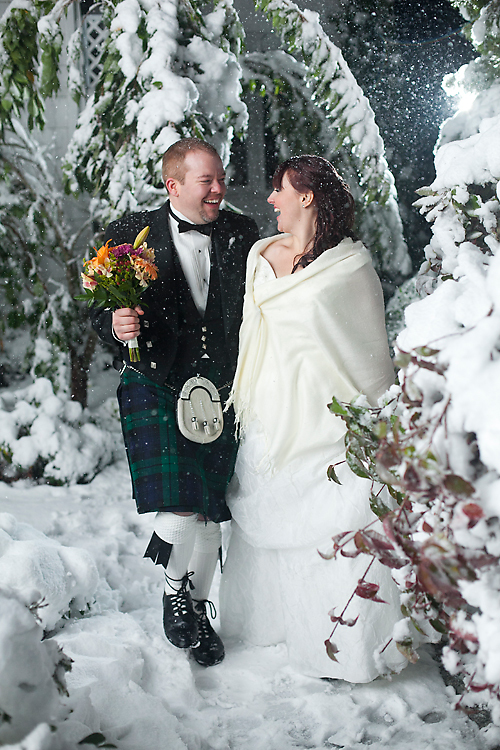 "Our wedding date was October 29th, 2011, the day of the huge blizzard in the Northeast. We were in the middle of Connecticut and got over a foot of snow. After the ceremony, during the portrait shoots, the power went out for the whole area. Lindsay was a pro from start to finish. We loved all of our photos, and she made very good use of the snow. After the power went out, she adjusted her lighting so that they still came out great. The outdoor photos were stunning. They almost don't look real. The snow was on the trees giving it a terrific look. To this day, some of the guests of our wedding still have a difficult time believing that those photos were shot outdoors and not in a studio. Every photo we wanted we got and then some. Her ideas for shots were terrific. The reception photos were wonderful. It was funny, neither one of us really remember seeing her, and yet with all the photos she took, she was obviously very present. We loved working with Lindsay. If you need a great wedding photographer, she's the one to go with. She was worth every penny. When I think of what impact those wedding photos will have on my family over the next 50 years, I can't begin to tell you how grateful I am that we have them." To read more reviews, head over to my Wedding Wire page.